Businesses have more options for marketing online these days, thanks to new and creative uses of website space. 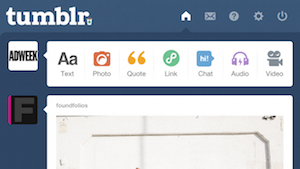 Tumblr has discovered a novel place where it can host outside brands: its own logo. Back in September, AdWeek reported on an interesting new campaign that the service launched to promote Starbucks on National Coffee Day, September 29. Instead of the distinctive period at the end of the Tumblr logo, the site sported the tiny image of a steaming cup of coffee, with a miniature version of the Starbucks logo clearly visible on the side. It’s just one example of what the company refers to as the “sponsored dot,” a program where brands can promote themselves for a day and get exposure in a distinctive way that fits with the user experience. AdWeek was so impressed with the possibilities of this space that it included the Sponsored Dot on its list of 2014’s most innovative new digital ad products. According to the source, the logo only sells the dot for certain days that might be attractive to advertises (previous examples include Valentine’s Day and the World Cup). It isn’t worlds away from the thought behind the Google Doodles, the interactive redesigns to Google’s logo that reflect certain important dates, holidays and anniversaries. They may not directly promote a brand in the same way, but they do try to catch user interest through appealing designs, and their changing nature gives users a reason to constantly check back. Businesses should use a multi channel marketing strategy that makes every ad easy for customers to connect to and understand. This is especially applicable to unique spaces that aren’t fully anticipated yet. 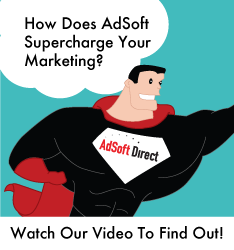 If you use marketing automation software, it will be a lot simpler to coordinate every aspect of a campaign.